Denny Jump (Bellevue, WA, United States) on 12 February 2017 in Landscape & Rural. 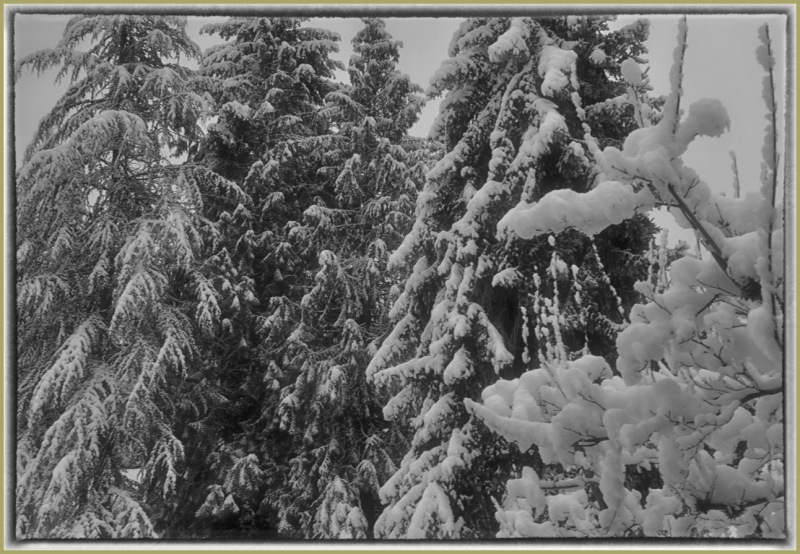 On Sunday Night, February 5, into early Monday, February 6, we had a tremendous snow storm here in western Washington. The trees and landscape were covered with as much as 8 inches of snow and it stayed around for days. I was stranded inside and captured this cropped image from one of our windows....I hope you like t.
What a view, and what a lot of snow! I very much like the muted tonality that creates a very sombre mood here! Lovely. B&W is a nice choice. I love this shot. I'm glad we didn't have that much snow. Ah, yes, I can feel the silence a snowfall like this can bring . . even though I cannot remember when there was last a heavy snowfall in London.